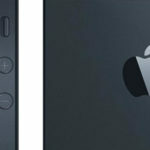 A message sent by Apple last week to retail employees suggests that the Cupertino company is reaching out to nternational Apple Retail Employees for ideas to sell more iPhones in its retail stores, 9to5Mac reports. The company has done so in the past as well, seeking ideas from its retail employees to increase sales of its iPods, iPhones and other products / services. 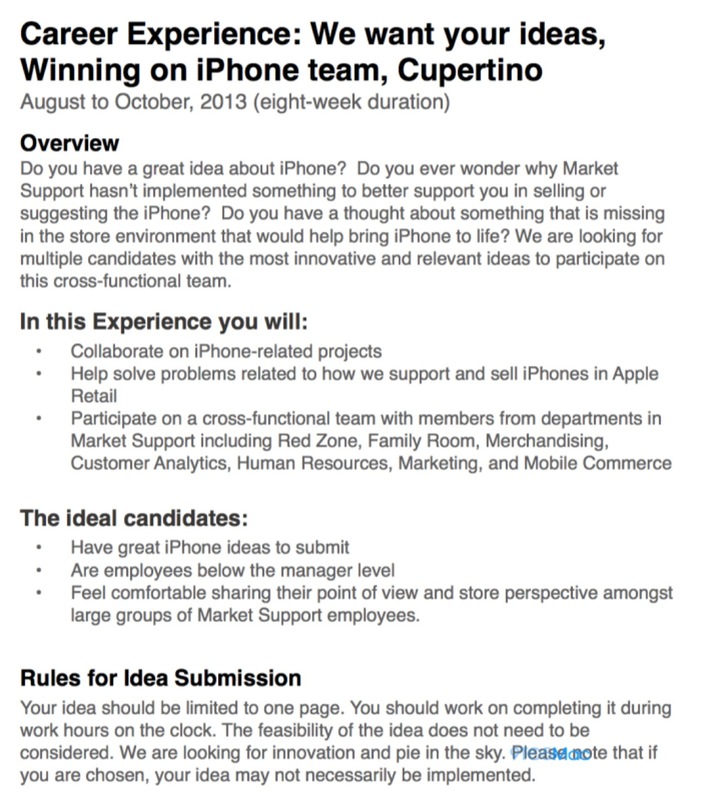 The message titled “Career Experience: We want your ideas, Winning on iPhone team, Cupertino” was reportedly sent out to Apple’s retail store employees late last week. “Interested employees will be able to submit their idea and eligible employees will be offered an 8-week trip to work out of Apple’s Cupertino, CA headquarters with the iPhone sales team on the idea”. A couple of weeks back, Apple CEO Tim Cook spoke to company’s Retail Store Leaders for over three hours, during which he expressed satisfaction with the way Macs and iPads have been selling via Apple Stores. Regarding the iPhone, he discussed that even though 80% of iPhones are not sold at Apple Stores, almost 50% of all serviced iPhones are troubleshooted, repaired, or replaced at Apple Store Genius Bars. He added that the company is also planning to implement new iPhone marketing tactics soon.